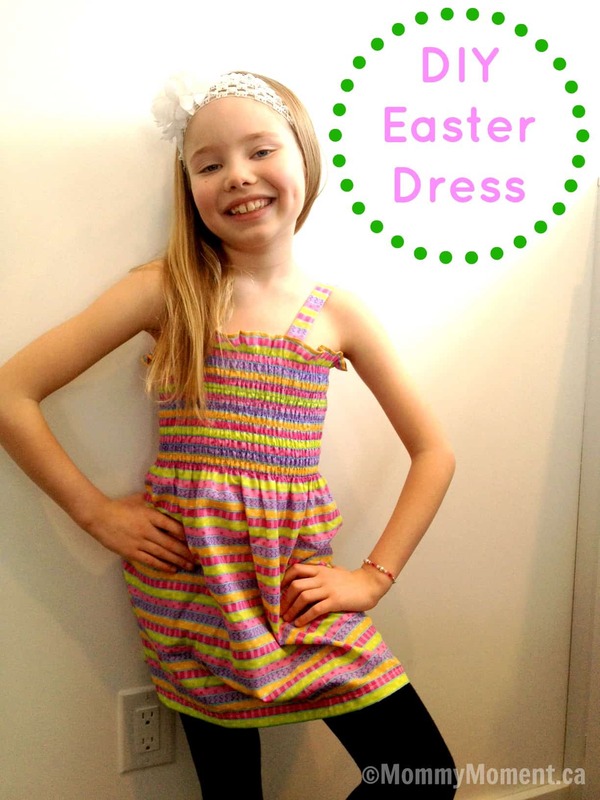 I always love getting my girls new dresses for Easter, but I like to get something that will also work for a great spring/summer dress when Easter is over. 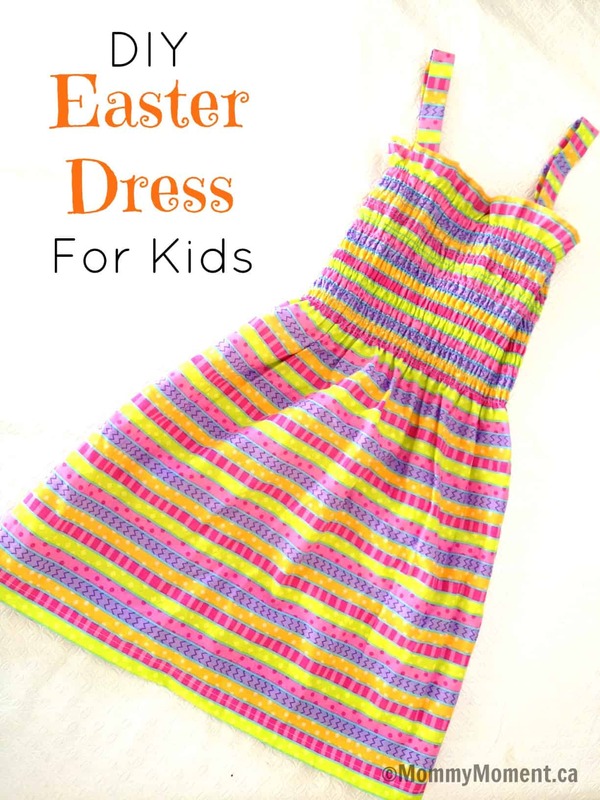 When my mother-in-law gave me this bright, fun fabric I knew I would easily make little dresses that would work for both Easter and Spring! I have never been much into sewing, but this is a dress that anyone can make. 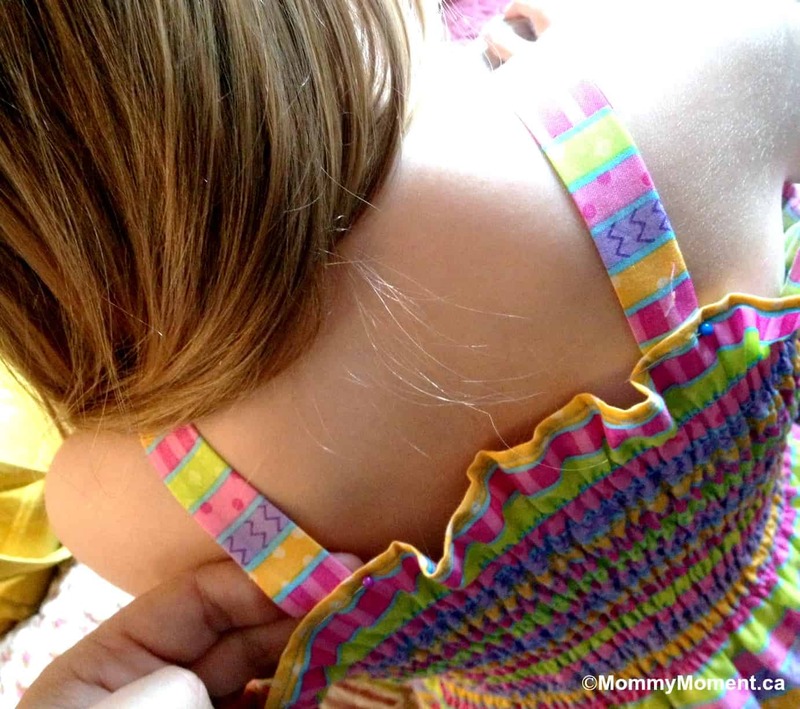 All you have to do is measure the fabric around your child for the fit you desire. Sew the fabric from the wrong side down the length of the dress and a hem along the bottom. Cut out strips of fabric for the straps. I chose to use 2 inch wide fabric which wen sewed from the wrong side allowed enough room to use a knitting needle to inside-out the straps. 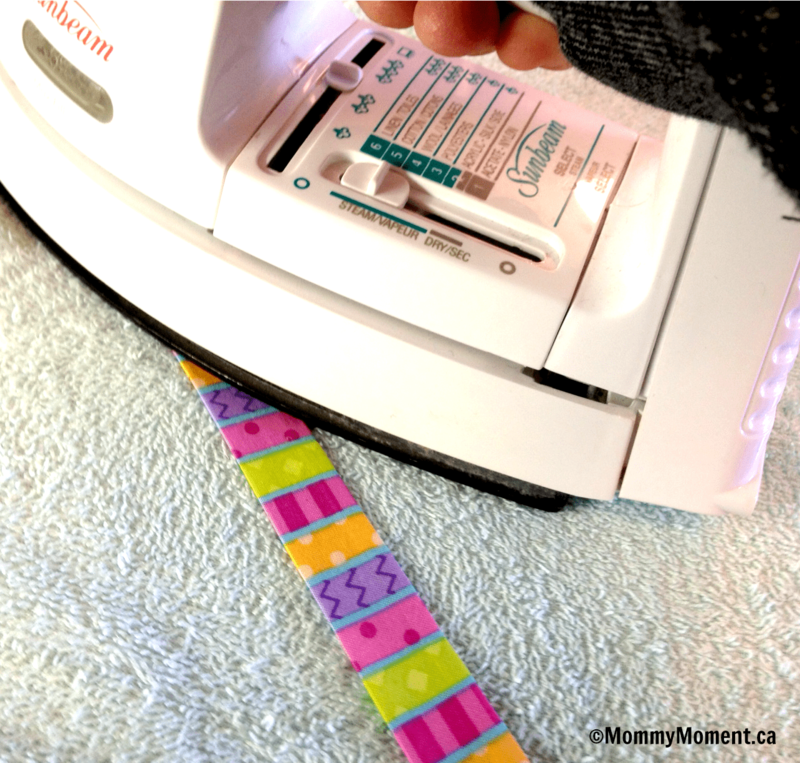 Iron the straps with the seam at one edge. 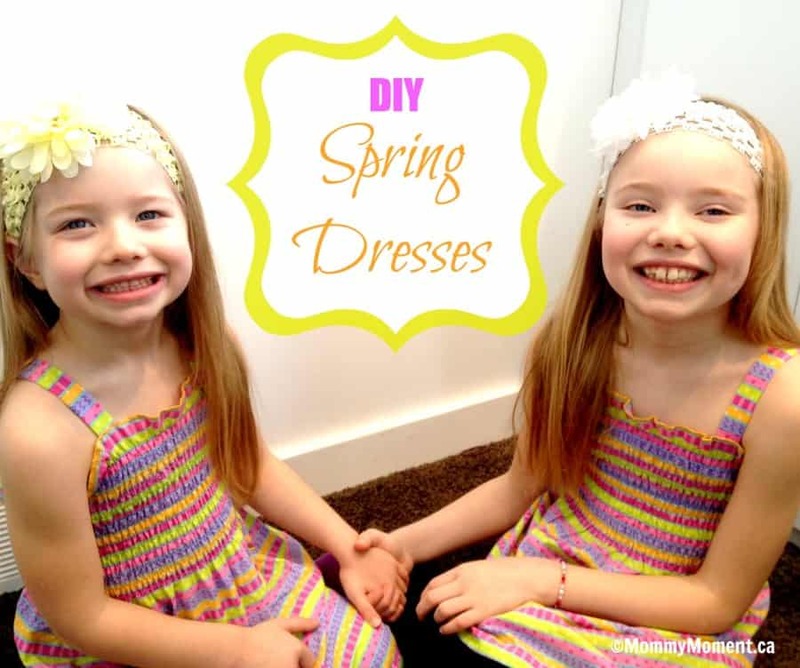 Put the dress on the child and decide where and how long you want the straps. Pin the straps into place and sew them on. Cut off the loose threads and you’re done! I love that as these dresses become too small they will make the perfect summer tops. 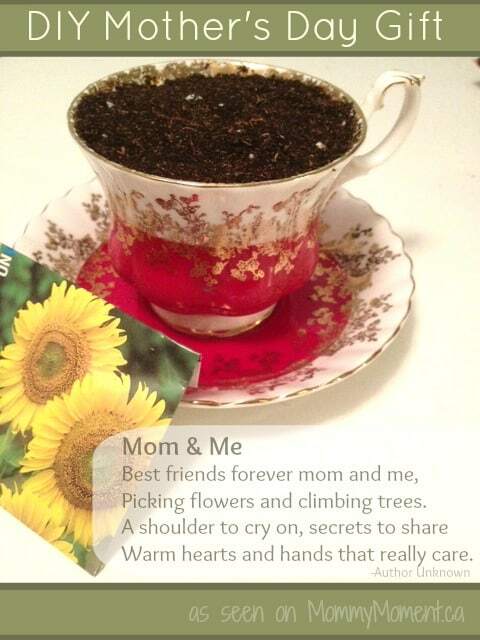 While you are here, take a look at our DIY Tea Cup Bird Feeder, these Spring Flower Cupcakes, and take a look at our boards on Pinterest! These are adorable! Can you buy the fabric with the stretchy part already attached as one piece, or is it two separate pieces that you sewed together? 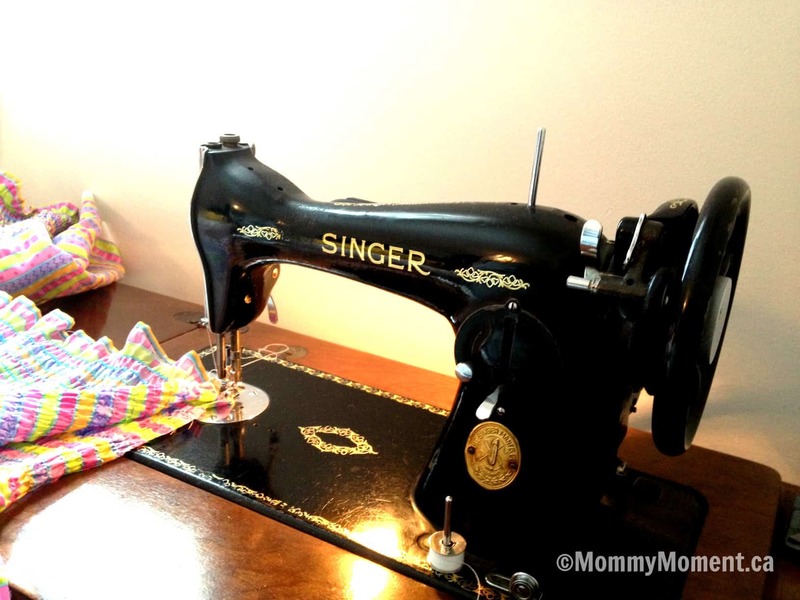 Yes, the fabric came as 1 piece – it made sewing it really easy! I just LOVE it Jody!!! BTW, your daughters are absolutely GORGEOUS!! Pinning! Thanks Christine! You are so sweet.